Air Filter,Oil Filter,Fuel Filter,Cabin Air Filter,Air Dryer,Transmission filter,Air Brake Parts-- ZHEJIANG TOPYAULD MOTOR PARTS CO.,LTD. 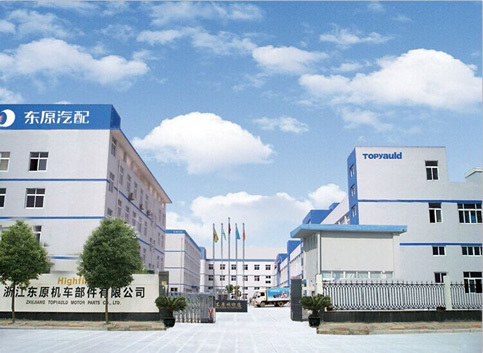 Zhejiang Topyauld Motor Parts Co., Ltd. was founded in 1994. Our company is located in Ruian International Auto Parts & Motorcycle Parts Industrial Park, covering an area of 15,000 square meters. We are specialized in producing oil, fuel,air, cabin and hydraulic filters and air dryers. We have more than 5000 items which are widely applicable for cars, trucks, motorcycles, air compressors,agricultural vehicle ,rail vehicles track and construction machinery, etc. We are one of the specialty filter and air dryer manufacturers in China. Our company has been granted ISO9001 and ISO/TS16949 International Quality Management System Certificates. We have advanced processes and production facilities and are implementing TPS, the Japan lean production management mode. All products are produced according to ISO and SAE standards and meet customers' quality requirements for both OE and aftermarket. We are OE supplier for Geely and Iveco. 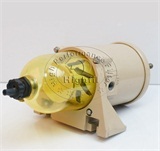 We are also partner for many world-renowned filter manufacturers and auto parts companies. Our products have been exported to the United States, Germany, Japan and Australia etc. about 100 countries and territories. Up to 5000 square meters of warehouse area and having inventory of more than 1000 Highfil numbers enable us to meet agents' demand of small batch and fast delivery.Create a one-stop service to meet more than 90% of the world's filter needs our company provides OEM service. We provide production services for famous trademarks and automobiles, engines and tractors in more than 30 countries such as the United States, Japan, Germany, France,Brazil, Mexico, Russia, Singapore, Columbia, Korea, Chile,Taiwan, Thailand and so on. Highfil,Get TOP10 filter brand in China.our main brand name has been successfully registered in more than 30 countries, has about 30 overseas agents. Look forward to the future, we will focus more on the brand building and promotion of Highfil. And in the process of Highfil brand global strategic layout we welcome more and more partners join us, work together with us based on mutual benefit. 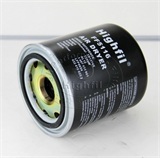 Let's develop market by fully utilizing our comprehensive advantages and strive for building.Highfil as a well-known brand in the filter industry.